He was on my mind again. Naruto Uzumaki , i mean. A picture of him in his Pjs flashed through my mind and i nearly blushed. &apos;&apos; Concentrate Itachi &apos;&apos; I muttered to no one but myself. It was 1:00am in the morning and i had to finish the last piece of work i had before i am truly on holidays and Mother and Father take over again. Unknowingly, i let down my hair . I sighed and skinned my fingers through my hair . &apos;&apos; I should go bed &apos;&apos; I said to myself again looking at my bed which looked so inviting and if Naruto was on it&apos;d be more inviting. I literary slapped myself when i heard myself saying that. &apos; I did not just say that ! &apos; I shouted in my thoughts. I put my hand to forehead which was red hot. &apos;&apos; No, i must be sick or something &apos;&apos; I stood up and put the work in the files leaving it for tomorrow. &apos;&apos; Yes i must be sick &apos;&apos; I whispered as i turned off the lamp light, making the room go to total darkness. I crawled into bed and put the covers over my head, my feet unconsciously going to the warm part. Light knocking was heard on the door as a Maid tried to wake up Itachi. She was not aloud to enter the room for her rank is one of the lowest. Despite the light knocking, Itachi woke up, already rising to his feet, he was used to this. Waking up at 7:00am everyday. Hearing the bed shift, she knew Itachi was awake and she quickly walked away, having another job to attend to. Itachi sighed and started to walk towards the bathroom where a bath would be ready for him. Itachi stared in the long mirror, fixing his dark blue robe, getting it perfect and putting on the same color slippers. He grabbed a black hair elastic band and started fixing his now dry hair into a tall ponytail . Itachi admired himself in the mirror for a few seconds before a voice interrupted. Itachi turned around at the known voice to see Sasuke leaned against the bed frame, smirking acting like he&apos;s 18 ( In the 1st chapter i meant 18 not 17 ) unlike  yesterday when he acted as if he was 5. &apos;&apos; Yes you told me many times and have i ever told you, you look like a duck? &apos;&apos; Itachi smirked as he came up with the reply quickly. Sasuke&apos;s smirk instantly went away and was replaced with a frown. &apos;&apos; They&apos;re waiting for you downstairs &apos;&apos; Sasuke grunted as he walked away. 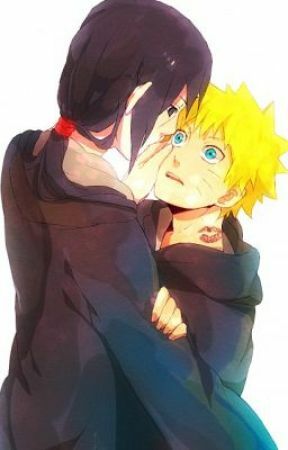 &apos;&apos; Watch the tongue or i&apos;ll cutt it off &apos;&apos; Itachi chuckled but only was given a snarl for a reply. Looking at the mirror one last time he turned away and exited the room getting ready the meet the other Kings who were waiting downstairs. When Itachi arrived downstairs, he saw the other 4 kings chatting away nicely. Well not all the four , just Kiba and Naruto smiling and laughing and Itachi couldn&apos;t help but feel weird, like he didn&apos;t want Naruto to talk to anyone but him.......he felt possessive. Itachi secretly turned his head from side to side mouthing shut up to himself. Neji was reading a book ,looking like a spoiled kid whos toy has been taken away, while Shikamaru was face down slowly eating his food, looking as if he could just face fall into the plate any second. Itachi moved his chair to sit getting every ones attention as he sat on it. A plate of sausages, eggs , bacon , lettuce , carrots and more sat on it waiting to be devoured. As soon as Itachi picked up his fork, Kiba and Naruto stood up making Sasuke and the rest look up. &apos;&apos; Gomennn! 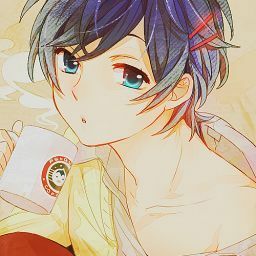 Me and Kiba-kun are going out to the garden so we have to miss this breakfast with you guys &apos;&apos; Naruto smiled. Itachi was about to say &apos;&apos;What about the food?&apos; but looked down to see they&apos;re food had been wolfed down and that&apos;s there&apos;s nothing there. &apos;&apos; Well than , see you! &apos;&apos;  Kiba smirked . He and Kiba were gonna walk off until Neji interrupted. &apos;&apos; How are you guys gonna go off to the garden in your robes without the people complaining &apos;&apos; Neji asked not looking at both of them but at Naruto and Itachi didn&apos;t like that. Naruto and Kiba exchanged looks. &apos;&apos; We&apos;re going to the inside garden of course &apos;&apos; Naruto said before they exited the dining room. The room was intense with only Itachi, Shikamaru and Neji in it who were quietly eating their food not slurping or making a sound. A minute felt like five and time slowly pasted away until it was half nine. All the three stood up, bowed and walked away to their rooms, not making a sound. Itachi sighed as he entered his bedroom. It&apos;s been a while since a room was that intense and Itachi hoped this won&apos;t carry on for the whole year or months. I walked in further and saw a pile of clothes on the bed. Usually i don&apos;t like people going in my bedroom and i still don&apos;t.
The clothes were just a clean black t-shirt with my new grey trousers. I don&apos;t have any meetings anymore so i can wear whatever i want. I took off my clothes and started to put on my new ones. So far what i could tell was that, Neji and Shikamaru didn&apos;t want to connect with any of us, well so far. Kiba and Naruto have already made each others friends and don&apos;t look like they want any one else to join them . If Neji and Shikamaru want to be left alone than i&apos;ll just become friends with Kiba and Naruto.